I am concentrating on building guitars so am currently unable to take Mandolin Family orders. I will post information as and when I am building them again. I apologise for any disappointment this may cause. 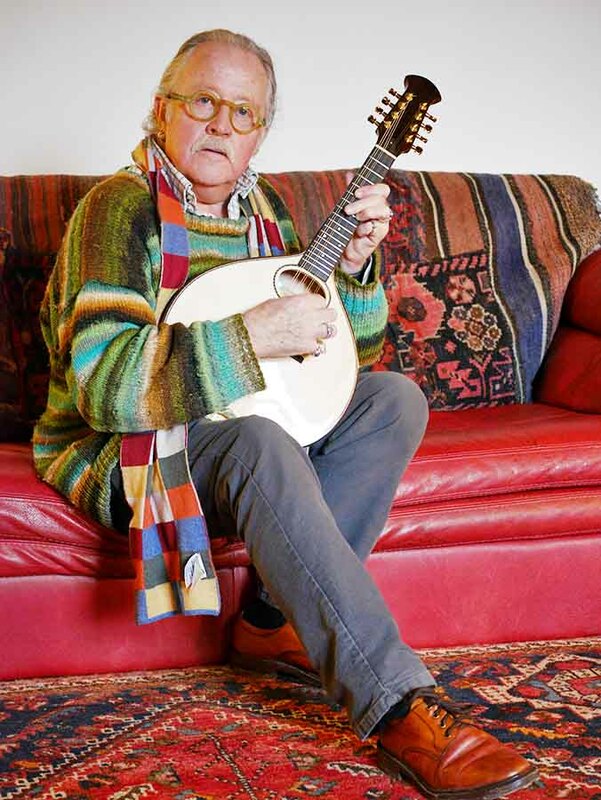 I built my first mandolin in the early 1970s. 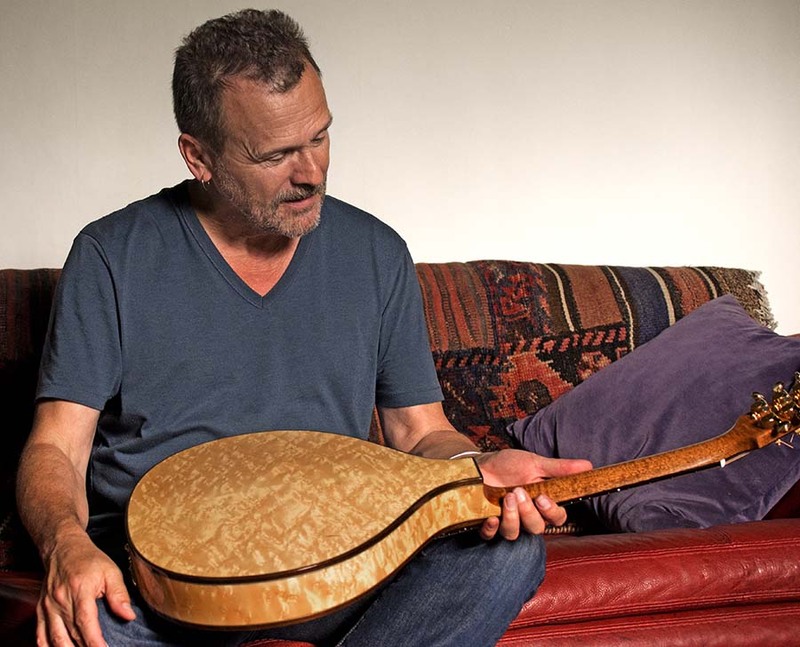 I based it on the citterns I’d been building for a couple of years; it was really a miniature cittern, with its relatively large body and rosewood back and sides. It was sometimes described as ‘being suitable for Celtic music’, which I disagreed with; I felt, and feel, it was suitable for many kinds of music. Over the years I’ve added a smaller bodied mandolin and changed my standard body wood from rosewood to birdseye maple. Not only do I love the look of this wood, it gives a firm resonant sound that is a little closer to traditional mandolin sound, rather than sounding like a miniature cittern. 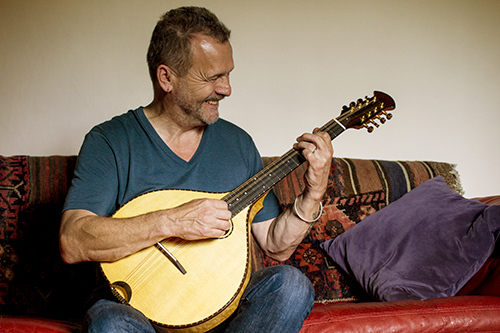 The two sizes have a similar sound, with the smaller bodied mandolin having perhaps a stronger treble and the larger bodied a stronger bass; much as you’d expect, really. They are not Bluegrass mandolins, they don’t have the throaty chop that suits Bluegrass so well; they have a smoother sound, clear and full with musical bass and treble, good volume, and just the right amount of sustain. My preferred (optional) pick-up is the Highlander with in-line battery box; there really isn’t room in the mandolin body for a battery. I haven’t tested all the available pickups, but the Highlander works really well in all my instruments and is the best I’ve come across. 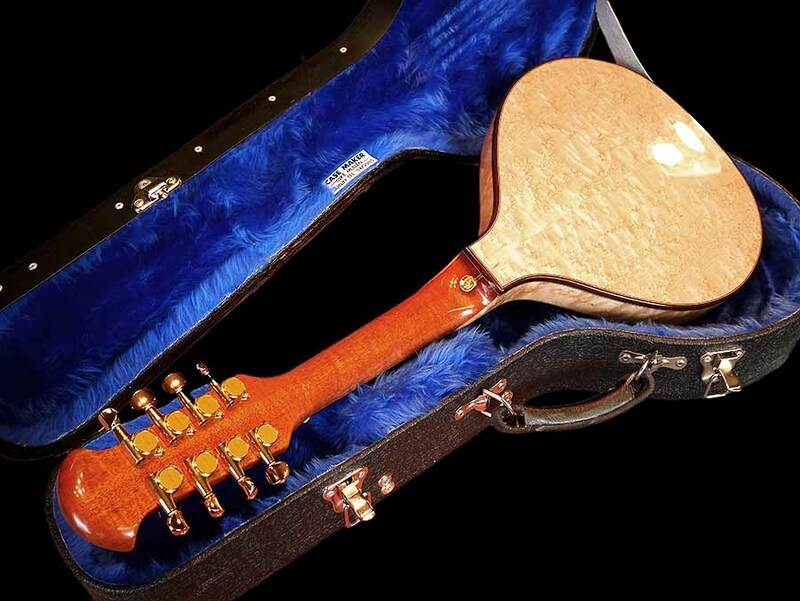 My mandola is based on my small bodied cittern body, with a shallower carved back body made from birdseye maple. To me it is the perfect combination of body size, scale, pitch, string gauges and pitch. The sound is clear and firm and also rich, surprisingly so for the body size. 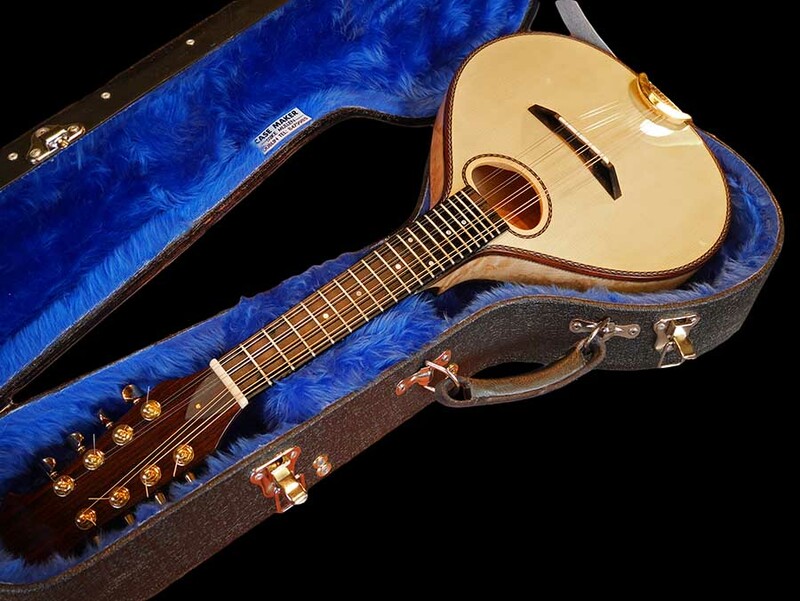 It has more sustain than a mandolin and more space for fingers. Celtic tune players could find it doesn’t play in convenient keys (always a fifth lower than fiddle or mandolin), but other instrumentalists and accompanists who have played one have universally loved it. The traditional mandola tuning is CGDA but many players now are tuning the top pair down a tone, giving CGDG. Andy Irvine tunes his a tone up from this giving DAEA; this suits the keys he sings in.